Crawford Market is a heritage building of great significance, situated in the north of Mumbai. The scope of the project was to make a new marketplace for Mumbai as well as revitalizing the area. The concept came about from the research and site study on the building as well as the surrounding areas. 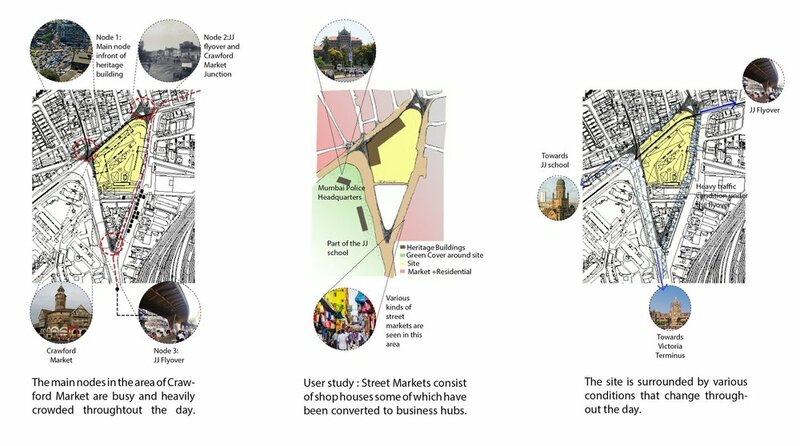 On the basis of site study the concept generated was making the market a vantage point from the outside as well as making the surrounding areas a vantage point from inside the market.